Distracted driving is the number one killer of American teens. Alcohol-related accidents among teens have dropped. But teenage traffic fatalities have remained unchanged, because distracted driving is on the rise. While over 90% of teen drivers say they don’t drink and drive, nine out of 10 say they’ve seen passengers distracting the driver, or drivers using cell phones. Brain power used while driving decreases by 40% when a driver listens to conversation or music. More than 80% of drivers admit to blatantly hazardous behavior: changing clothes, steering with a foot, painting nails and shaving. Drivers on mobile phones are more impaired than drivers at .08 BAC. An estimated million people each day chat on their mobile or send text messages while driving. Using cell phones while driving is a very high risk behavior with significant impact on crashes and society. More than 50 peer-reviewed scientific studies have identified the risks associated with cell phone use while driving. Drivers who use cell phones are four times more likely to be in a crash while using a cell phone. There is no difference in the cognitive distraction between hand-held and hands-free devices. Cell phone use contributes to an estimated 6 percent of all crashes, which equates to 636,000 crashes, 330,000 injuries, 12,000 serious injuries and 2,600 deaths each year. 80 percent of crashes are related to driver inattention. There are certain activities that may be more dangerous than talking on a cell phone. However, cell phone use occurs more frequently and for longer duration than other, riskier behaviors. Thus, the #1 source of driver inattention is cell phones. The annual cost of crashes caused by cell phone use is estimated to be $43 billion. This focuses attention on a serious problem. 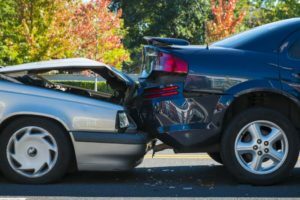 Some form of driver inattention was involved in almost 80 percent of crashes and 65 percent of near-crashes, according to a study conducted by Virginia Tech Transportation Institute and the National Highway Traffic Safety Administration (NHTSA).